House Bill 1365, authored by Representative Eddie Lucio, III’s will make Texas Compassionate Use Program more inclusive and compassionate for Texans by allowing for whole plant medical cannabis for patients with debilitating conditions. The bill will be considered by the Medical Marijuana Subcommittee on Thursday, April 11th. 1) Contact your legislators in support of HB 1365. 3) Provide the committee a testimonial if you have personal or professional experience. 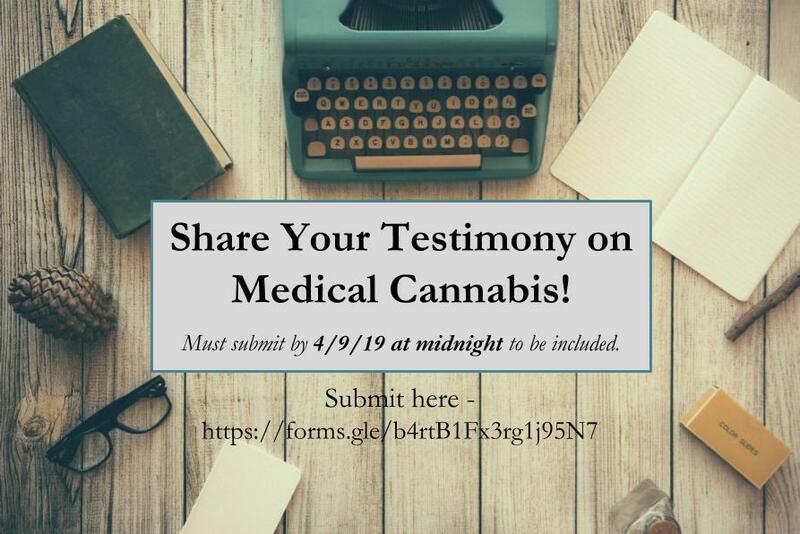 Testimony can be provided several ways: written and submitted via email, written/printed (12 copies) and submitted in person on the day of the hearing, or verbally to the committee (2 minutes). When visiting the Capitol, please always dress professionally. We will have a large volume of witnesses, so unless you are a medical professional, patient or caregiver, it is best to simply register your support. The Chair has specifically asked that we try to make this hearing as expedient as possible by not being redundant in our testimony, submitting a written copy to be distributed in our testimony binder instead of giving verbal testimony and by having one person speak on behalf of organizations or conditions. (Please note that to be included in the binder, you will need to submit your testimony by 4/9/19 at midnight.) If you plan to stay and testify in person, please let us know so we can coordinate testimony, and please bring 12 copies of your printed testimony to submit to the committee clerk. Unable to travel to Austin? You can still help! Contact your legislators in support of sensible marijuana policy. Also, follow this Facebook event for live updates and a link to the live stream.